Since you are here, I assume that you already know what are expired tumblr blogs and what they are used for. So, the service is pretty straight forward. 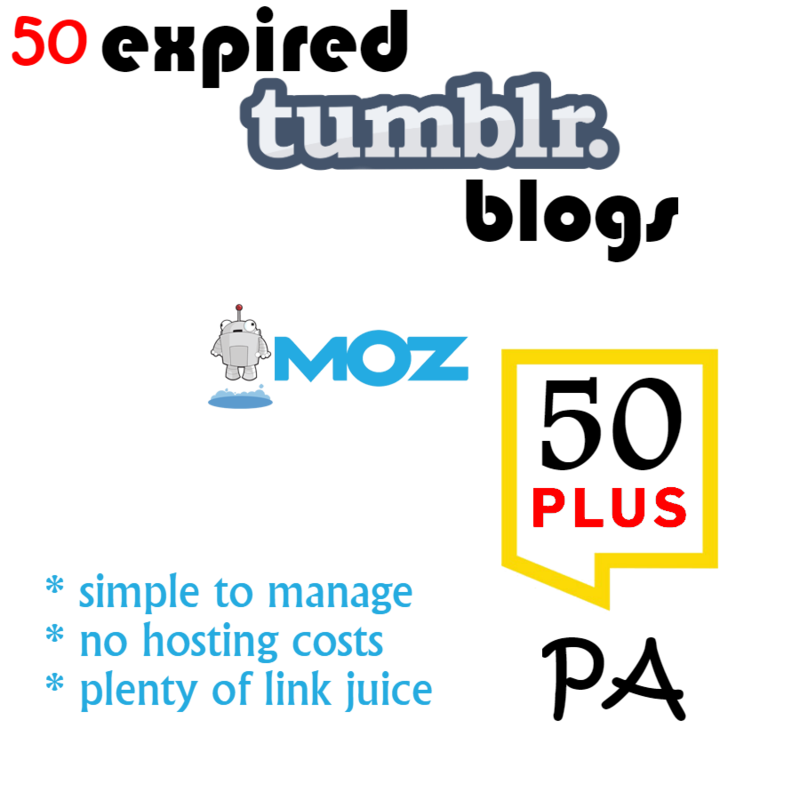 50 tumblr blogs already registered, with Page Authority +50 and MozRank +2. 50 tumblr blogs is a network big enough for any website. 50 Tumblr Blogs with PA+50 is ranked 5 out of 5. Based on 3 user reviews.